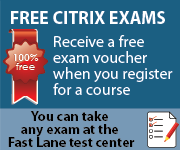 Do you have Citrix Training Vouchers? Simply select the course you wish to take and click your desired city to enroll. 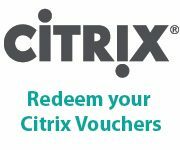 Select "Pay with Citrix Training Vouchers" as the payment option or simply write a comment upon checkout. Our Customer Service will then get in touch with you.